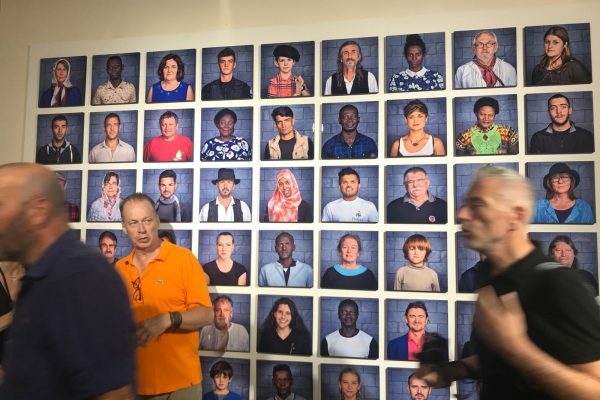 Recently the Impact Journey team travelled to the south of France to attend the opening week of the renowned photography event Les Rencontres d’Arles. 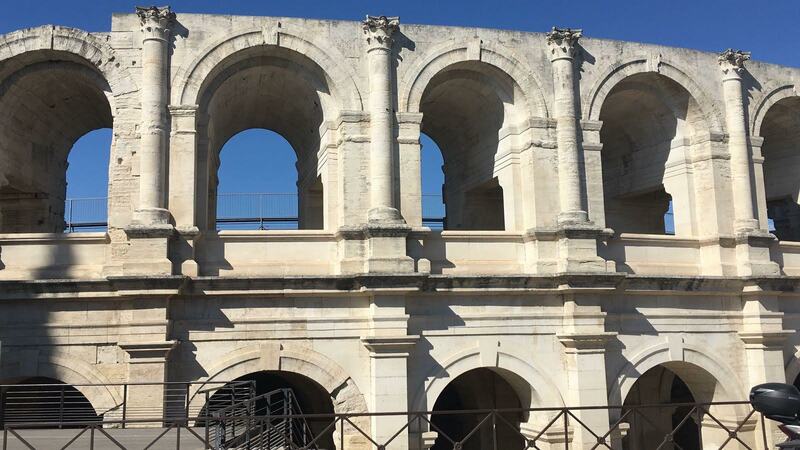 Known as the “Venice Biennale of photography”, the beautiful tiny town of Arles is a taken over for the summer by amazing photography exhibitions, inspiring photographers and photography experts. Ranging from fine art to photojournalism to sculptural, what really caught our eye were some photographers who used their chosen medium to draw attention to global issues through aesthetically beautiful images. 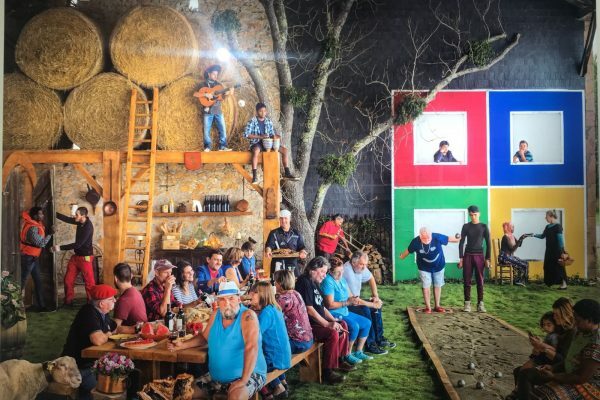 One body of work was by photographer Patrick Willocq, exhibited at the Manuel Rivera-Ortiz Foundation, ‘a non-profit foundation supporting underrepresented documentary photographers and filmmakers’. 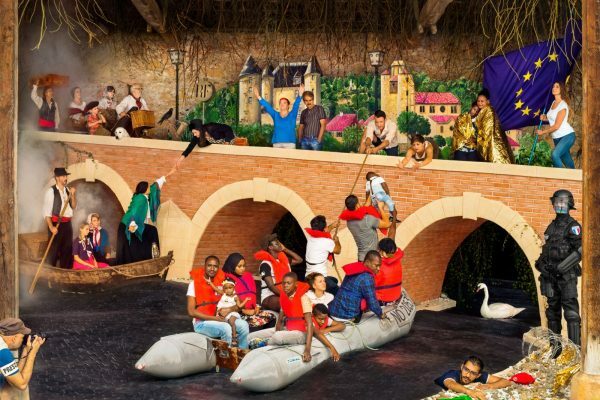 In his project ‘My Story is a Story of Hope’, Willocq creates elaborately staged scenes with locals to create an image about the 50 migrants who were placed to live in Saint-Martory, a small village of 1000 inhabitants. 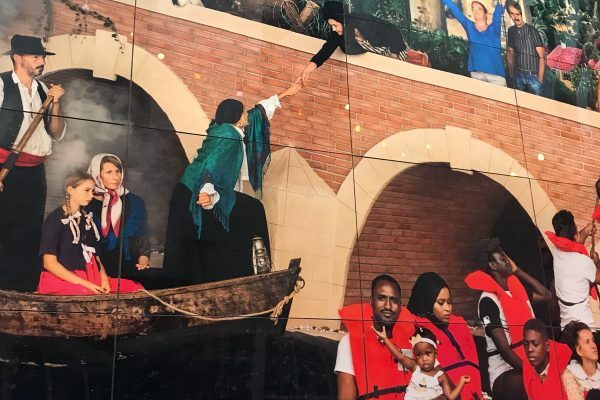 The project addresses the occuring issues and the varying levels of receptiveness that the inhabitants had towards the sudden influx of uninvited foreign guests, as well as the view of the migrants, many of whom were unaware they were not to live in a bigger city. 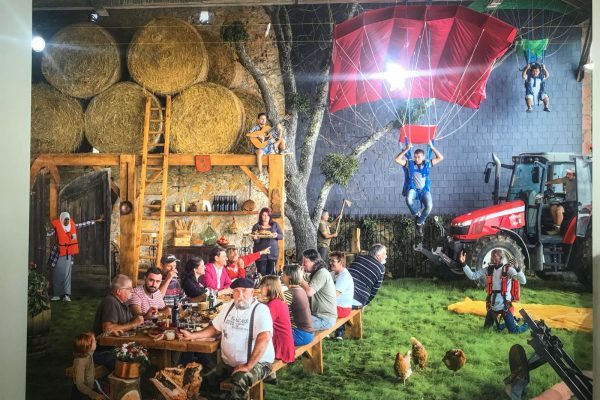 Honest preconceptions and fear were admitted in the testimonial video ‘If I Left my Country’, as the villagers and the migrants answered questions about their opinions on the project. 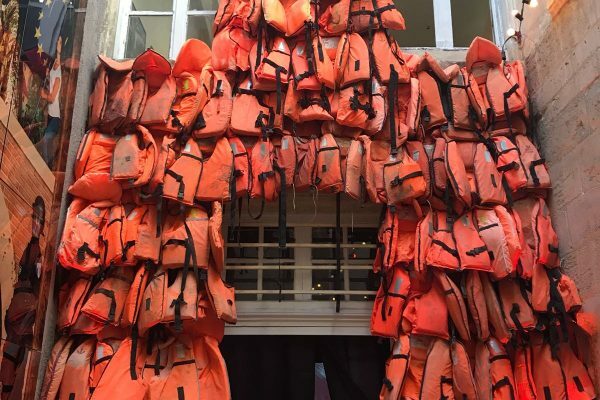 They reflected on what it means to leave your home and your country for a foreign and potentially hostile land, the fear of the unknown, of losing one’s identity and the possibility of danger. 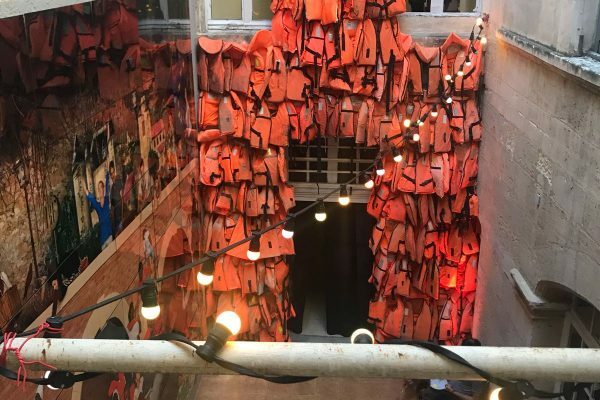 This project allowed the participants and the audience to see the different sides to the issue of forced migration, and the way that our views of migrants, refugees and asylum seekers are influenced by the consistent negative portrayals by the media, simply to sell one-sided stories. 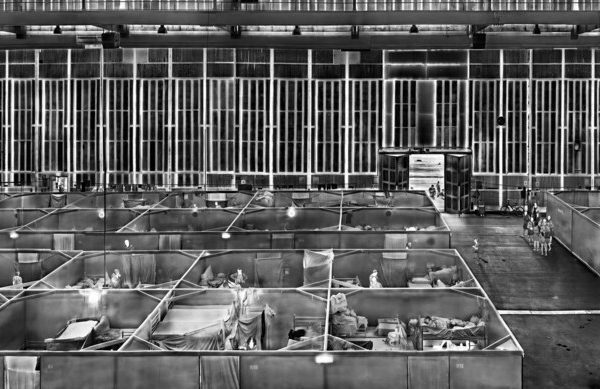 While many photographic/artistic projects on this subject choose to focus on the chaotic and dangerous travels that migrants undertake, the poor conditions that they are fleeing, or the problems which some may cause or face when they arrive in Europe, it is refreshing to see the ‘post migration’ aspect being addressed on such a scale and in such vibrancy. A truly moving and important project. 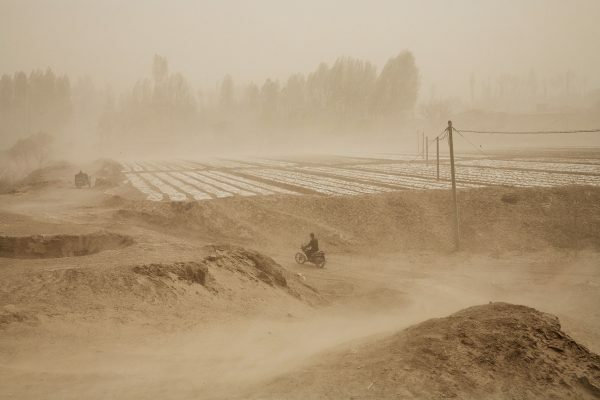 The series by photographer Benoit Aquin, ‘The Chinese “Dust Bowl”’ (2005-2007) is another project which is important to share. 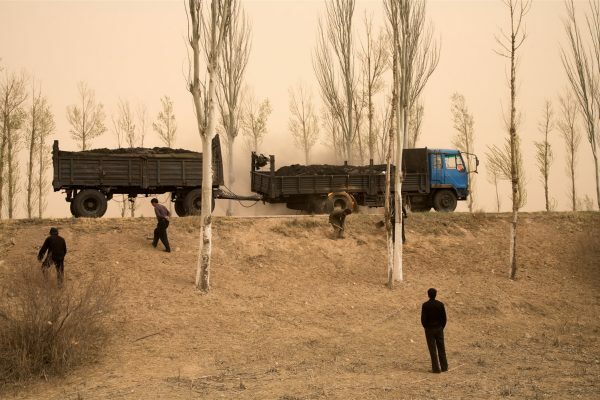 These photographs examine the human-made desertification of Northern China, which now covers 18% of China. 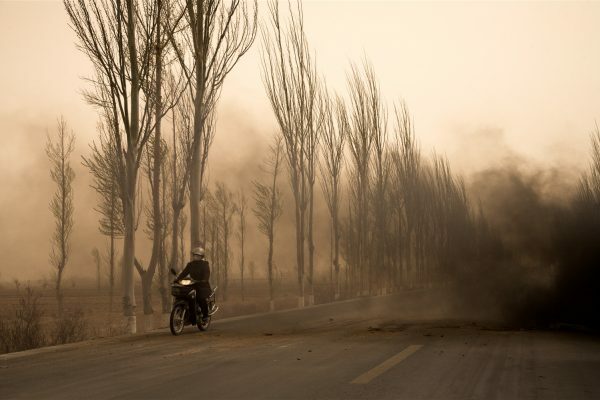 Desertification is an issue which many might see as just happening in sub-Saharan Africa, but it is also happening elsewhere. Caused by overgrazing, over pumping over rivers for agriculture and other unsustainable practices, arable land has turned into barren sand dunes and forced former occupants to become environmental refugees. 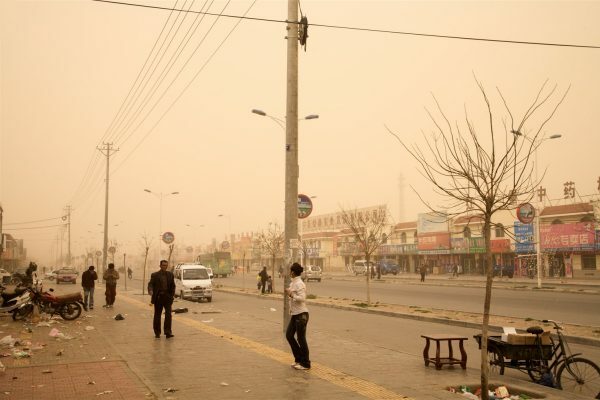 This sand has polluted Chinese cities as well as other countries around the world after being swept up by the winds during storms. Governments are now spending billions to reverse these effects. The final project that we found important was ‘Heat Maps’ by Richard Mosse, a series which documents refugee camps across Europe, using military-grade telephoto and thermal cameras. The photographs reveal the terrible daily conditions that people fleeing wars and danger have to live in, whilst residing in first world countries. Known for his alternative image capturing techniques, such as his bright pink series ‘Infra’, these layered images convey the space in high detail, from the fences and security gates to the ground of human shapes and temporary shelters. By reading the focus of heat as both metaphor and index, the project considered the conditions that large groups of refugees cope with, through ideas of hypothermia, climate change and mortality. All in all this event was an amazing experience for us here at Impact Journey. It gave us a push of inspiration and energy we needed towards our goal of creating a platform that presents not only beautiful imagery, but also addresses important global issues which need to be shared with the wider world.